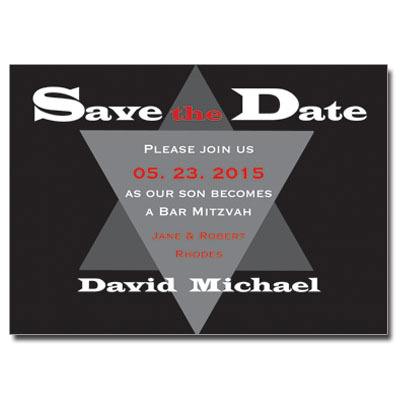 This clean and modern Bar/Bat Mitzvah save the date is accented with colorful bursts of type. 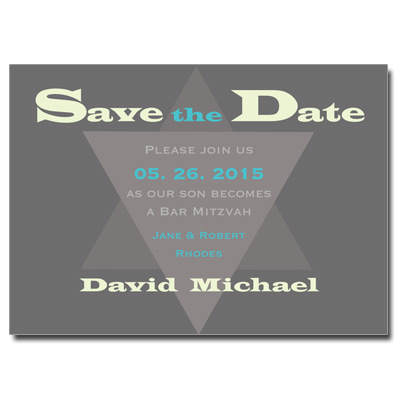 Save the date card measures 3.5x5. Comes with round stick-on magnets.